There are a number of great Southern Kung Fu styles recognized throughout the world. One of the most beautiful is the great style of the Hung Family which skillfully blends a traditional root in the Shaolin Temple by marrying the power of the Tiger with the grace and energy of the Crane. All five of the original Shaolin animals are represented along with the essence of power breathing and an art which ingeniously combines Long and Short Arm movements. Weapons from this style also take on its characteristic blend of firm and flexible. 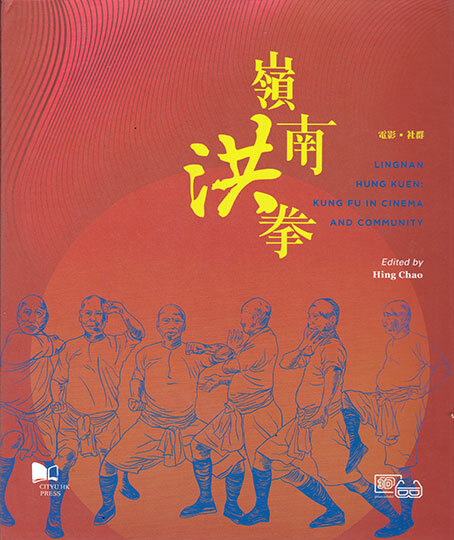 This extraordinary book derives from Hong Kong, a hotbed of traditional martial practices, cinema and martial lore. Beautifully laid out, brimming with photos and folk illustrations, printed on heavy paper, this volume is a testament to the magical and engaging power of Chinese martial arts over the length of the twentieth century to now. Our first thought, when we saw this exquisitely-created book, is that it would make a nice coffeetable gift item. But once inside, we discovered the unfolding dual worlds of Lam Family Hung Kuen history set against the backdrop of Chinese martial cinema. Great classics and beloved adventures such as 36th Chamber of Shaolin, Challenge of the Master, Martial Club, and The Eight Diagram Pole Fighter are presented as moral tales. All of these, including what some call the first modern Kung Fu film—“One Armed Swordsman”—are the product of fight-choreography by a single man, Lau Kar Leung. The book goes deep in discussing choreography and plotting. Any martial artist watching those classic (and not-so-classic) films cannot help but think of the the choreography of a fight scene. We know we are watching fiction, but still look to detect the non-fictional truth of how the blows land, if the block makes sense, if the movement is plausible. These are indications of whether the director knows what he is doing and truly understands martial arts, or is playing off his own fantasy. There is no way to think of this material and its many visions as anything but the special bridge where fantasy, reality and personality meet casting—as in Dickens' creations, a world of unique and unforgettable characters who fight evil, perpetuate their disciplines, and, most of all, act like the heroes they are. 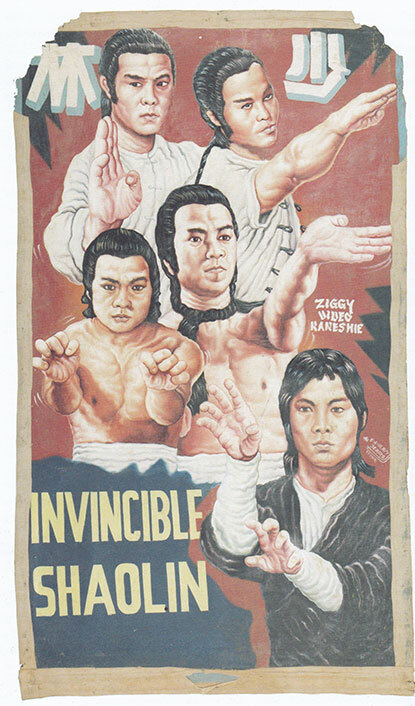 The latter section of the book is a perfect exemplar: it guides us through a wonderful folk phenomenon of hand-painted Kung Fu film posters from Ghana in West Africa. These posters, painted on sewn-together cotton bags, show the commonality of dreams. *Order this book and any two Lam Chun Fai books and pay only 44.95 for this volume. Discounts will be applied in shopping cart. 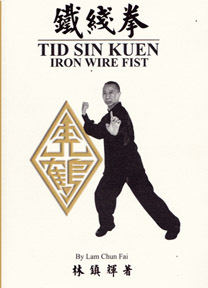 Tid Sin Kuen, or Iron Wire Fist, is the third book in this beautifully produced series on Hung Gar by Sifu Lam Chun Fai . The Hung system of Kung Fu is based on four pillars: Conquering the Tiger, Tiger/Crane Double Shapes, Five Animal Boxing, and Iron Thread. Each of these builds upon the previous and, taken in sequence, create a journey from external to internal. 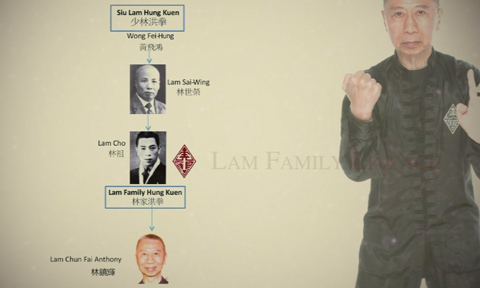 The lineage of this particular branch comes down through Lam Jo, teacher of many famous instructors including Kwong Wing Lam. 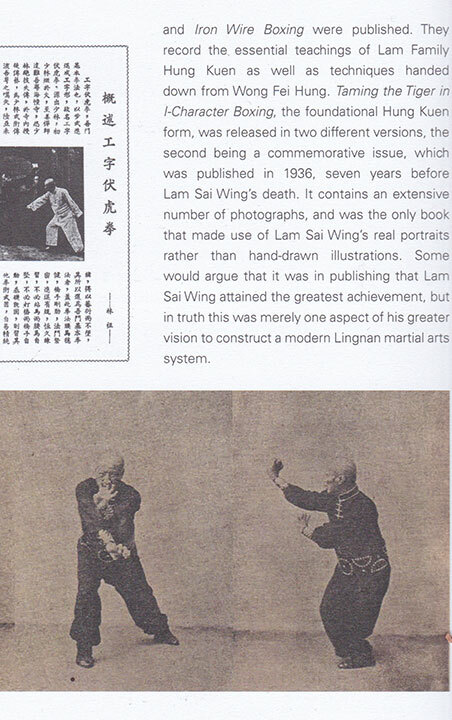 Lam Chun Fai, Lam Jo's son and student, has created this book on Tid Sin Kuen: The Iron Thread Boxing. The 240 page book is bound in a heavy, textured paper-wrapped cover, with both black-and-white and color interior pages (see bottom of this review). 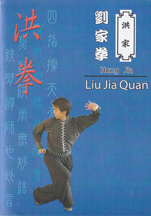 It also contains a bonus 9 minute DVD of Sifu Lam performing key movements from the set, including several of the 12 Bridge Hands. The form section has colored edges so you can immediately identify it. With almost 250 photos, all of good size, he shows the entirety of the form. He also demonstrates the 12 Bridge Hands, the basis of this Iron Thread Fist. This is the internal master-form for the entire Hung system. Many of the movements look the same as in other Hung forms but there is a subtle difference in execution. The Horse, for instance, is not as low, the energy a little less forceful. As with earlier forms there are vocalizations but considerably more complex in the Iron Wire. It's a form where, even if you did not believe in internal training, you would see plain evidence of an internal concentration. The moves of Iron Wire are mostly short, clipped and powerful. The emphasis on tendon work is clear. If you fancy learning even part of this form you could not beat seeing a teacher who has taught this pivotal tao lu for 60 years. Iron Wire is considered a totally internal form to increase your skills and aid in your longevity so no martial applications are included. However, the final color-section covers appreciations and testimonials, giving some hint of the curing effects of this style and the wide respect of many other martial practitioners. 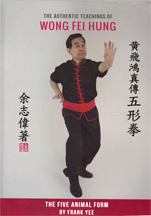 In addition, there is a short but well-done DVD, with Lam Sifu demonstrating several of the Bridge Hands along with excerpts form the entire sequence. PS I studied Hung from Yew Chin Wong many decades ago. It is a great system with a lot of power and beauty. Now, with the addition of the fourth pillar we are proud to offer the key forms, to widen the field of Kung Fu by allowing people access to important references; to recognize the smell and colors of each dish offered at the Kung Fu banquet. NOTE: The textured heavy-paper binding on this book is beautifully done, but as with many books shipped internationally, it is almost impossible for all books to arrive at Plum without a handful showing a slight corner bending or spine creasing. If condition is crucial to you, please add a note to your order and we will do our best to send you the most perfect copy. We can control our sturdy packaging to you but, unfortunately, not the publisher's to us! We do our best! Please click here to see some examples of the type of imperfections we are talking about. *Order ALL three volumes from Sifu Lam (this plus Hung Gar Fundamentals and Hung Gar Training, below, and receive a 10% discount on all three books. Discounts will be applied in shopping cart. See a DVD with this teacher visiting the United States and working with Sifu Donald Hamby. Author Yi Chi Wai, Frank Yee, here presents us with a new, beautiful book on Five Animal Fist. It contains 403 pages all in color, yearbook style pictures of generations of Hung Family students and, group photographs of Hung Schools around the world. Five Animals Fist is rarely presented and certainly not often in this detail or with this care. But this quality might be expected from a man who became an early Bai Si disciple to famous teacher Tang Fong, as well as spending years mastering dit day medicine from his mentor Dr. Siz Cheuk Sing. Sifu Yee also distinguished himself by being one of the founders of the Eastern US KF Federation. He also has practical experienc extending to labor disputes—some violent— for the Chinese Staff and Workers Union. Here is one of the few books on Hung style Kung Fu’s Five Animals Boxing. This beautiful volume shows the entire form on glossy oversized paper between hardback covers and with good sized photographs of the moves. Each action is shown along with its Chinese calligraphy and Cantonese pronunciation. It includes five some nice sections on the principles and technique of each of the Five Animals. Some of the descriptions and symbolic meaning I have never heard or read before. Frank Yee has not only taught for six decades but has spent his life promoting not only his beloved Hung style but Chinese Martial Arts in general. Characteristics of this book abound: Like its less-advanced brother, Gong Ji Fuk Fu, the Five Animals Boxing trains in the unique manner of teaching one side of the body at a time. This is sometimes known as the “root” system. Every type of movement from the form is shown in application, often from the other side of the body but also in a number of variations. 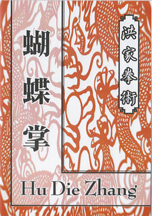 In this well-written book, many stories and incidents are recorded especially in reference to the Hung system and its cousins in the Southern Kung Fu tradition. Numerous masters, including some of the oldest monks at the Shaolin Temple, are mentioned. This is a well presented compilation of a great Hung form and a surprising amount of inside information on its tradition. We are seeing some high quality productions of outstanding books and—it appears to us— books which are not only informative, but are meant to be archival and memorial. This is one such book. This is a translation of a book from the famous Lam Sai Wing books describing the Hong Gar system. This key internal form is one of the clearest examples of Southern Kung Fu Nei Gong training and is considered a high level form of the Hong system. It’s creator was Tidt Kiu Sam (Leung Kwan): one of the 10 Tigers of Guangdong. Among its benefits is a resistance to strikes and blows to the body. Tendon-based strength is augmented. The practitioner’s rooting skill is deepened. The beauty of this form is that the body creates exactly right shapes to affect the internal organs. This concentration of forces strengthens and shapes at the same time. At a much higher level the Iron Thread is performed with vocalizations resonant to the organs and a key packing stance related, some say, to Wing Chun. A showpiece form of the style. A serviceable translation from someone to whom English is not a first language with a few slips but—and most people can’t do this—a good narrational voice that sustained the text. We probably have a line of Chinese to Russian to English. The Lam family has produced a second volume in their special Hung series and this one is even better than the first volume (below.) For one thing it introduces two rare Hung Sets: Arrow Punch and the Partner Gung Ji Fuk Fu. The book starts out with an intelligent and intriguing analysis of Hung's origins, much beyone the curt and flimsy histories we have so often read. The writing is excellent with superior English prose. Next is a section on exercises and training methods specific to Hung such as Bridge hands and Tiger Claw. Then more historical writings such as a comparison with the famous Bubishi document. This is followed by a presentation of the Arrow Fist (or War Fist) set with thorough discussion of its past and meaning. Applications are clearly shown at the end of the breakdowns. Next is the rare two-person Gung Ji Fuk Fu. This jumps into it, arm banging and all. The applications are clear and obvious in the set itself but it's only fair to mention that the layout and the photography are both of outstanding quality. A book for any martial artist's library. Note: This hard cover edition is burlap textured and may be slightly bent or stained (erase-able) by the time it gets to us from Hong Kong, and you from us. We haven't see any significant damage but we are trying to assure the best quality we can. There may be very small bend in a corner; from our end, of course, we'll try to pack it as best we can. 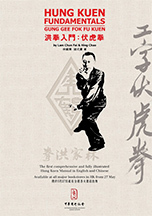 *Order ALL three volumes from Sifu Lam (this plus Hung Gar Fundamentals and Tid Sin Kuen, on this page, and receive a 10% discount on all three books. Discounts will be applied in shopping cart. A while back we were informed by our friend Eric Shou-li Yao that he was involved in publishing this book, en face, in Chinese and English. The author was Leung Wing-hang, Eric’s grand-uncle. We were lucky enough to have a copy on hand and helped to supply a series of photographs from our book. And now the text is here. Not only does it contain the entire form, but it gives some great historical information on the creation of this set and, in the wider picture, the creative process that was occurring with many other teachers developing a rash of customized forms such as Ying-Jaau-Tong-Long-Bo-Yin-Sun (Eagle Claw, Mantis Step, Swallow Body). There are also prefaces and forwords from Lung Chi-chung, Chu Tze-fan and Chan Bo-wei. Besides really well-reconstructed photos there is a footwork map and line drawing illustrations. This is an unusual form directly in the Hung Jia tradition but having a flavor and postural originality all its own. We are of the opinion that this 48 move set can be learned by anyone with some martial experience. Its movements are perfectly in accord with the three animals of the title. This book is a fine addition to a Kung Fu library not only for Hung style but for enthusiasts of Kung Fu history. This text doesn’t just re-issue the original but it keeps the end papers, prefaces, and personal notes and fellow practitioners and admirers which is such a part of martial culture. The Lam family is justly famous for its stewardship of the largest branch of the famous Southern style, Hung Kuen. For the first time in over 60 years, they have issued a comprehensive training manual on their system, including the keystone form of the system, Gung Gee Fook Fu, along with special materials on usage, history, theory (a nice long section) and personal memoir. Also a good section offers the well-wishes and background of numerous Hung instructors throughout the world including Lam Chun Fai, Lam Fung Chu, Lam Chun Ho, Hing Chao, Pavel Adamék, UK Lam Family, the Cheung Family, Carl Albright, Calvin Chin, Christine Foti, Andreas Garski, Jesse David Gooding, Donald Hamby, Frederick C. T. Lee, Massimo Iannaccone, Niels Kleinert, Mattias Lindh and Petra Lorenzovém. Plum has ordered a bundle of these beautiful hardcovers direct from the Lam organization. This well-written book, dedicated to Lam Cho, world-famous Hung teacher, is printed in English with corresponding Chinese text; its interior pages have color-coded sections, along with full color and black and white photos and illustrations. *Order ALL three volumes from Sifu Lam on this page (this plus Hung Gar Training and Tid Sin Kuen, and receive a 10% discount on all three books. Discounts will be applied in shopping cart. Read a news release about this book and the Hung style in Hong Kong. 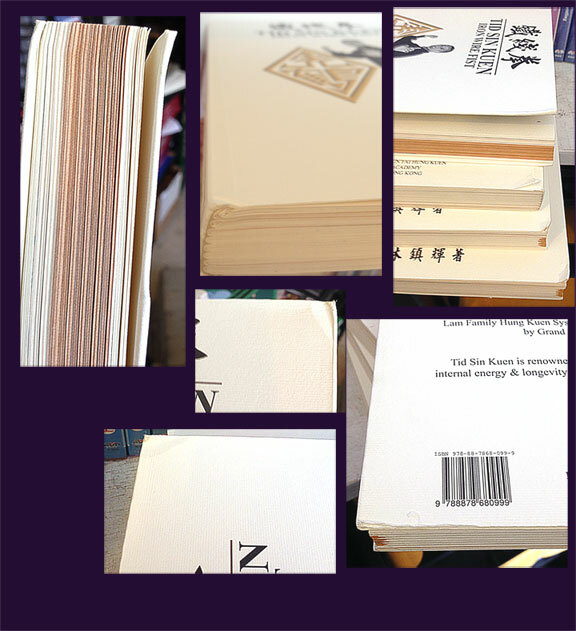 HONG KONG Pamplets: Below we offer some unusual booklets, all printed in Hong Kong. Each staple bound pamphlet is small (about two dozen pages) but beautifully done with full color photos, about nine per page, exceptionally clear. There is no breakdown in English or Chinese though all the moves are named. An introductory paragraph gives background, special techniques and difficulty rating for each form. More of a printed film strip to act as a reference and a reminder. In this section, all forms are from Hung Jia boxing, some sets hard to find in that style. Though coming in this case from the Hung style this for harkens back to the well known Cross Form of the Plum Blossom style. This is an elementary form emphasizing footwork (hence the Cross), punching, pushing, elbowing, and basic kicks. This thin but elegant book gives the names of the form moves, color pictures of Hung hand positions, stances and the entire form in small but well photographed color pictures. A good reference and memory aid. Hung Gar Kung Fu has some very interesting lesser known forms . This new series introduces one that’s just plain fun to perform and another of historical significance. First is the Hung Gar Hu Die Zhang—Butterfly Palms. Yes, we know what you’re thinking, “Hung! Butterfly?” but we have practiced this floating, fast and light form ourselves and can tell you it’s a good one. In addition we add the Hung version of “Three Extensions” a member of a group of forms influential outside China. San Zhan Quan is performed in certain branches such as the Hua Du sect of Hung Gar. This is a great old book from Leung Ting. Published originally in 1980 this double volume shows one of the rarer pattern sets of the Hung system. It is obvious that Yuen Yik Kai has been practicing this set for decades. In this form—which is quite different from the standard known as Ten Pattern Boxing—each of the animals has a specific and separate section so they can be practiced as five mini-forms or joined in one long sequence. Each of the animals has examples of usage. There are some historical notes such as the origin of the Five Pattern Fist which is said to be a joint-creation of the female monk Ng Mui and Miu Hin, an unshaved Shaolin disciple. Ng Mui is also famous for her Dragon style Boxing and being the teacher of Yim Wing Chun, creator of Wing Chun Pai. The historical section is filled with stories, fun to read. Finally there is teacher Yuen’s hands, gnarled, flexible and strong telling a story just by their varied animal shapes. 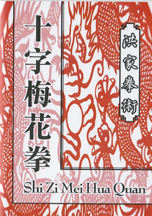 Volume #1 contains color plates, historical notes and the Dragon, Snake forms and Tiger. Volume #2 is now out of stock! 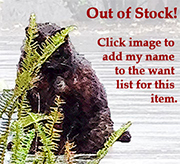 Click below to add your name to wantlist.It contains the remaining animals: , Leopard and Crane. Color plates, Mr. Yuen's background, philosophy of the Five Pattern Fist and historical analysis. 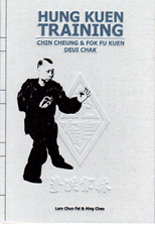 Master Ho studied from Deng Fang a disciple of the famous Wong Fei Hung. 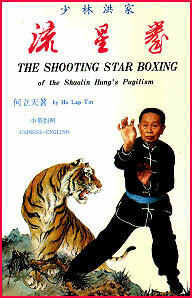 From his deep study of Hung he has developed this version of the "Shooting Star Form" with correct and definite elements of the Tiger and the Crane arts. This is perfectly permissible within traditional lineage as SiFu Ho has created a beautiful and obviously completely classical form that retains Hung's "flavor" while giving a new emphasis to certain combinations. The entire form encompasses 86 postures and has key elements from not only the Tiger/Crane but the 5 Element and Ten Animal forms of Hung Family Fist. Once again proof that the traditional methods can be flexible, beautiful and creative. 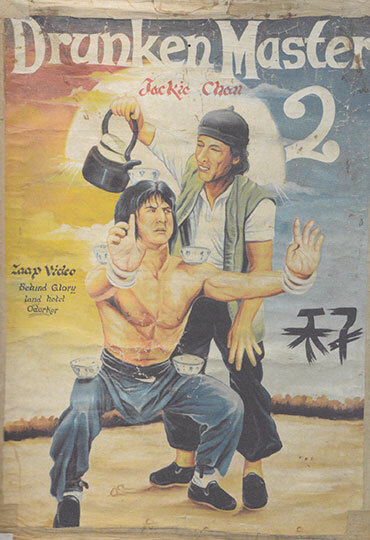 The illustrations in this text are of Sifu Ho himself performing all postures for the "Shooting Star Fist". Printed in Hong Kong this book shows the form and skills of the Southern Shaolin Ten Animals. This is shown by noted Kung Fu movie actor and martial enthusiast Kwan Tak Hing. Mr. Kwan is a famous movie actor from the longest series of Kung Fu films ever made, those devoted to Wong Fei Hong the master of the Tiger/Crane style. He initially received his training from Southern master, Sun Pak. Not as common as its Northern cousin, Southern Shaolin Fist is a key style in those styles of Kung Fu such as Fut Gar, Choy Lee Fut and Hung Fist. This is a good introduction to one of the best known forms. Taming the Tiger is one of the key forms of the Hung Gar (Hung Chia) Fist. Hung is also known as the Twin Shaped Tiger/Crane fist and is one of the most popular Southern Kung Fu styles in the world. Here Buck Sam Kong goes through the whole set with large photos and, unusual in itself, simultaneous text in ENGLISH, SPANISH and GERMAN. Note: The illustration appears a little off because this book has a SILVER TONE cover, a bit difficult to reproduce. A section on Lam Sai Wing and one on Lam Jo. Some very nice historical pictures. Also a chapter on Applications. A solid text. Learn about the 300-year history of Hung Gar through recent findings and colorful stories about Hung Gar Masters and traditions. Study the underlying principles of Hung Gar and their sets: The Twelve Bridges, The Five Animals and the Five Elements. Acquire applications and techniques such as blocks, arm locks, takedowns, chops, strikes and footwork. Whether you are curious as to how Hung Gar differs from other styles, are a beginning Hung Gar student, or have practiced for many years, this book will add to your understanding of the Hung Gar style." Hung Gar is one of the most popular styles of Kung Fu in the world. It is highly represented outside of China in places like Eastern Europe. It is a beautiful style where power exercises, animal movements and Qigong are combined. But the vast majority of practitioners have never seen the "other" Hung where each animal has a single, highly charactertistic form. Here is the first major survey on this branch of the style written by one of its living masters, Kwong Wing Lam. The Hung system has many "humble" weapons and methods dealing with ordinary or common things such as the bench. This is an interesting book, in both Chinese and English, on such weapons. It contains a "Dragon and Tiger Umbrella Form" of 69 movements. Also there is a written section in the back derived from Hung known as the 8 Healthy Body Methods which is a description of Kung Fu exercises for any age. In the front section which demonstrates self defense the teacher uses the following: empty hands, bench, umbrella, Chinese Iron Fan and walking stick, all as examples of the basic concepts of Kung Fu self defense.